There isn't much mystery anymore! 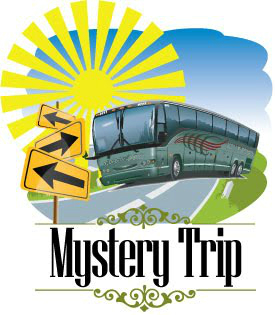 Get some in your life with our 2 day Mystery Tour! You will enjoy the anticipation of not knowing what is coming next as you sit back and enjoy the ride. Tour includes 1 Breakfast, 2 Lunch, mystery entertainment and attractions, deluxe tour bus, Tour Director, baggage handling and 1 night accommodations.